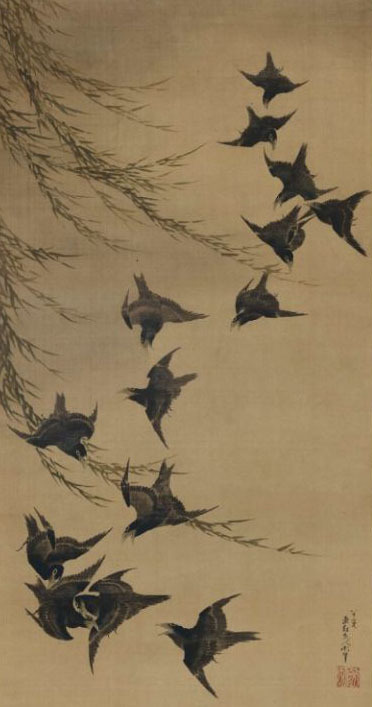 POSITIONS is a section of the blog for The Haiku Foundation’s haiku academic journal Juxtapositions: A Journal of Haiku Poetics & Culture (JUXTA), edited by Tom D’Evelyn. The space will be used for updates and topics related to the journal. Oftentimes, the posts will be excerpts from papers scheduled to appear in the journal. It is hoped that the posts/excerpts will inspire feedback that will help the author with revision of the piece for final publication in  JUXTA. Peter, thank you for sharing that incredible video. Watching the stars, noticing the extent to which the earth is revolving – such a massive body turning at quite some rate amongst something so vast as to make it seem nearly negligible and yet not negligible – served as a powerful illustration of how much we take for granted in our typical modes of perception. Why thank you so much for your appreciation Madeleine. You’ve done a wonderous job at interpreting the poem and you’ve acknowledged me, as I acknowledged the blue flags and our place together, so I bow to you, as well. I think this is a poetic haiku. It has the gap, the shift in consciousness that is so characteristic and meaningful in haiku and it also uses language to deepen the image. It softens it but does not weaken it. Haiku tend to be abrupt. Knowing and understanding how to use language evokes other arts. Here, there is a feeling of Impressionism, of painting “en plein air.” The idea of  “in the open air” enriches the haiku. It puts the reader in front of those iris by a stream or marsh where they characteristically thrive. By doing this, the “bowing” comes naturally as the body language makes sense. This looking down at the iris that are standing tall corrects imbalance. Nature and man are momentarily in communion. The personification forecasts and then mirrors the almost unconscious bowing down to look and see. The opposition of “standing at attention” and the bowing of the head creates a vertical and an arc which are interesting shapes and give the haiku structure,  a kind of inner form normally found in poetry but embedded here in the haiku. The feeling I get from this gem of a haiku is a nod of recognition, a moment of spontaneous rapture.